When you’ve made close to $200 million in your NBA career, you can rock any look you want. 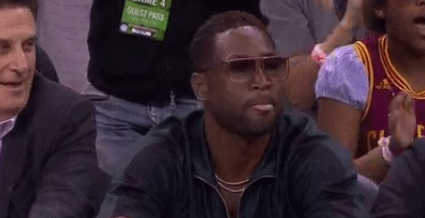 Dwyane Wade has decided to take it back to the old-school, unveiling a new look during Game 4 of the 2017 NBA Finals between the Clevealnd Cavaliers and Golden State Warriors. Twitter reacts to everything, and this was no different. A single tear just rolled down Dwyane Wade's face watching the refs this quarter.